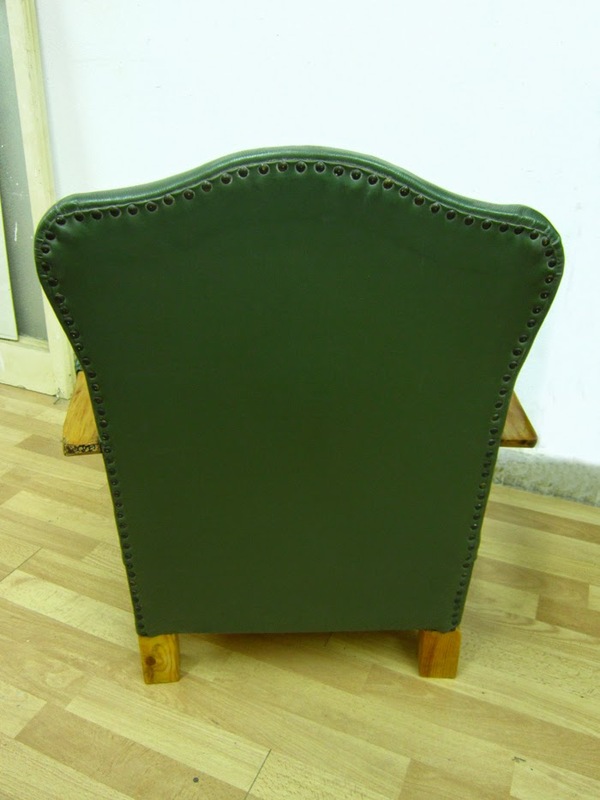 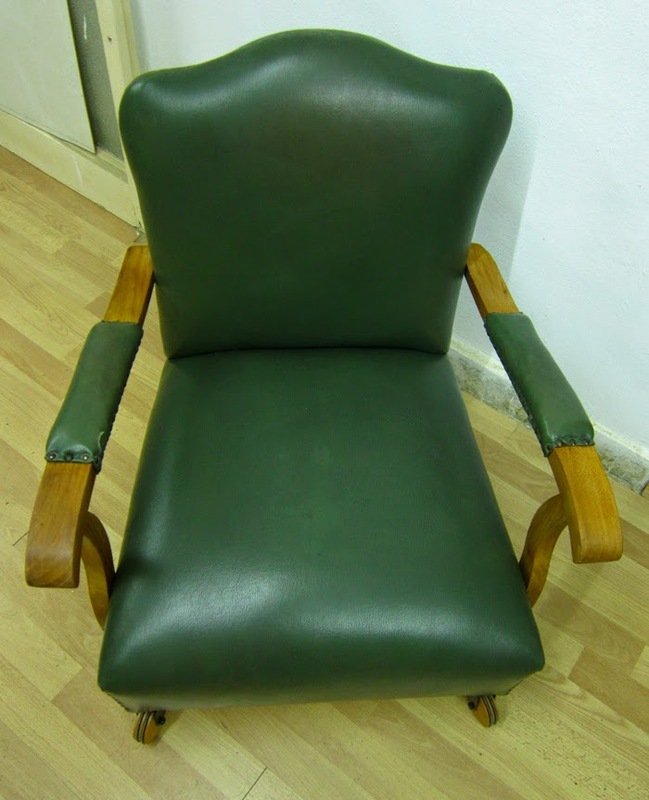 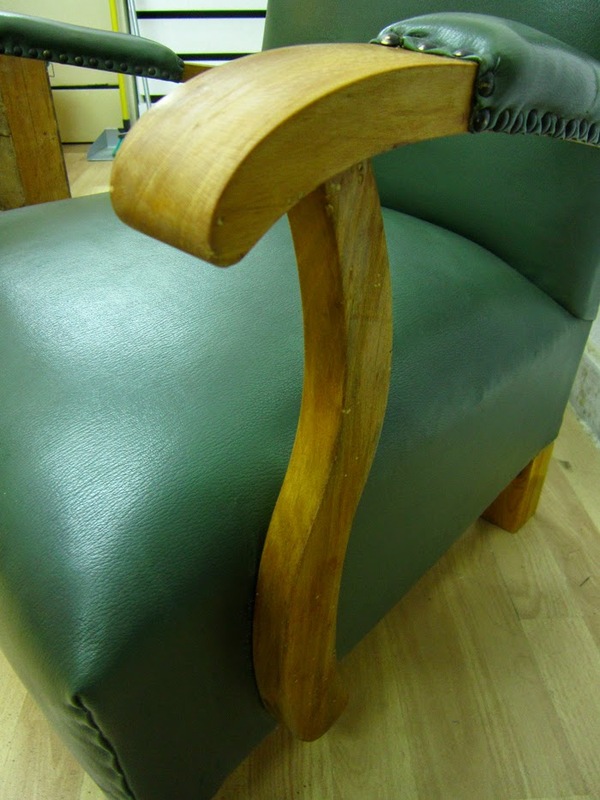 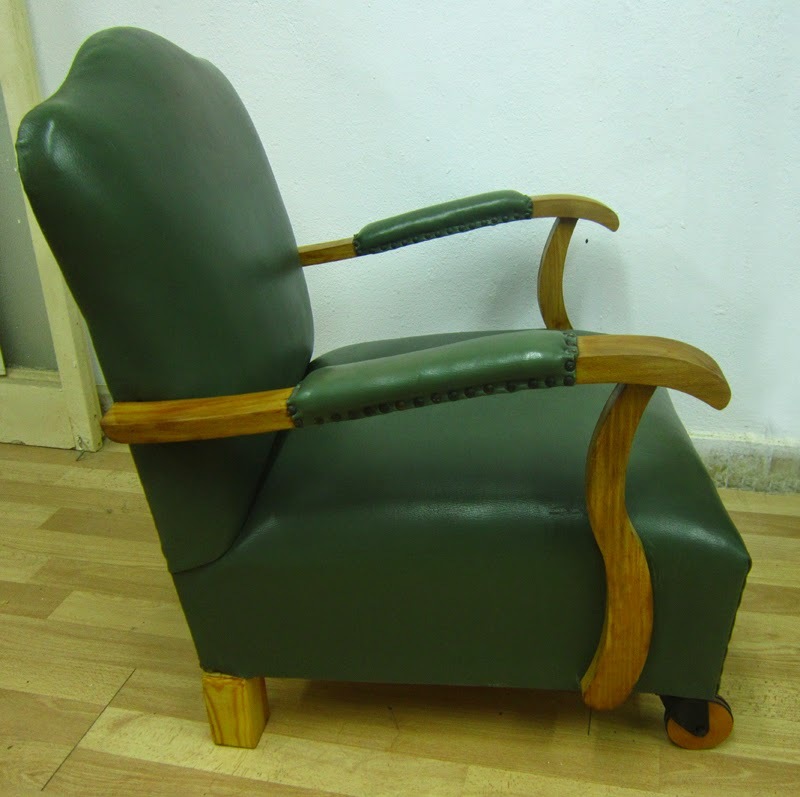 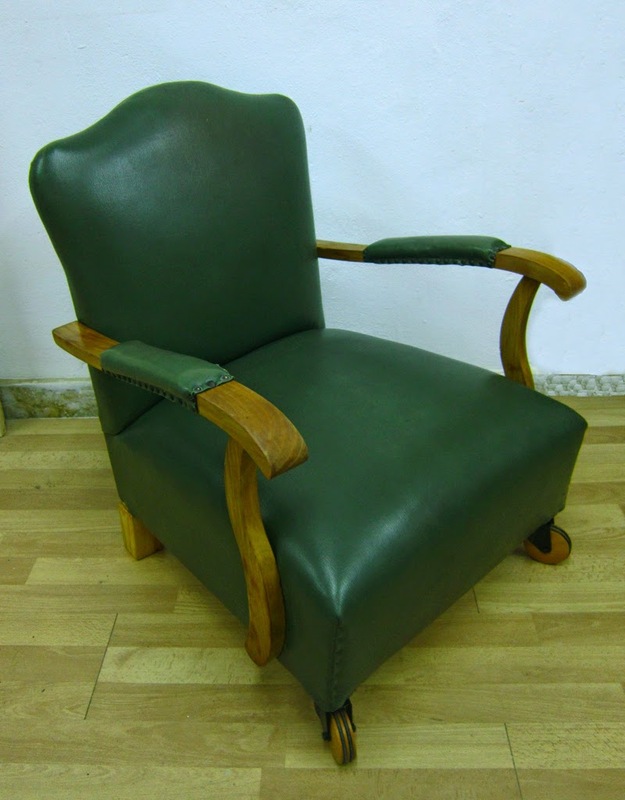 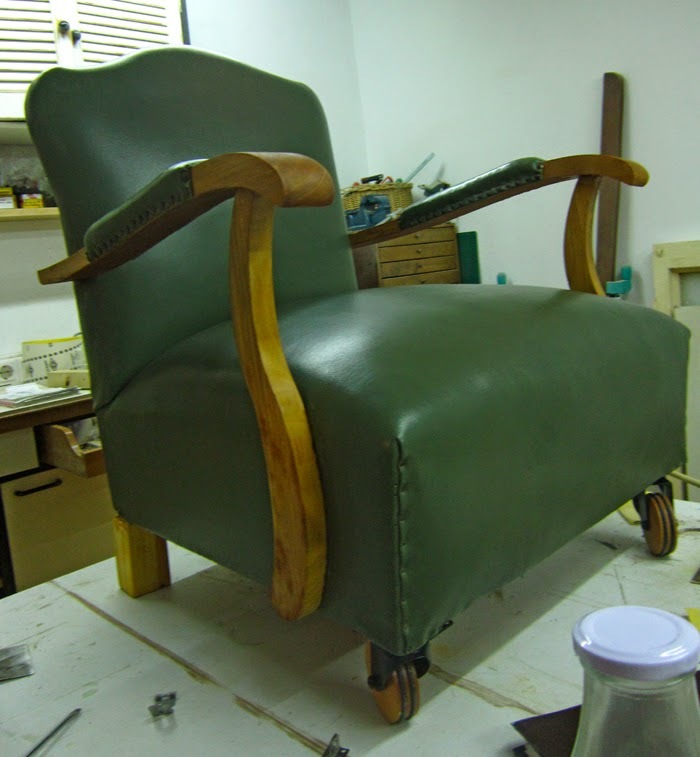 This lovely low-seat armchair in solid beech and deep green leatherette upholstery from the early 50s was in mint condition -except for the four legs, that had been severely attacked by wood worms. 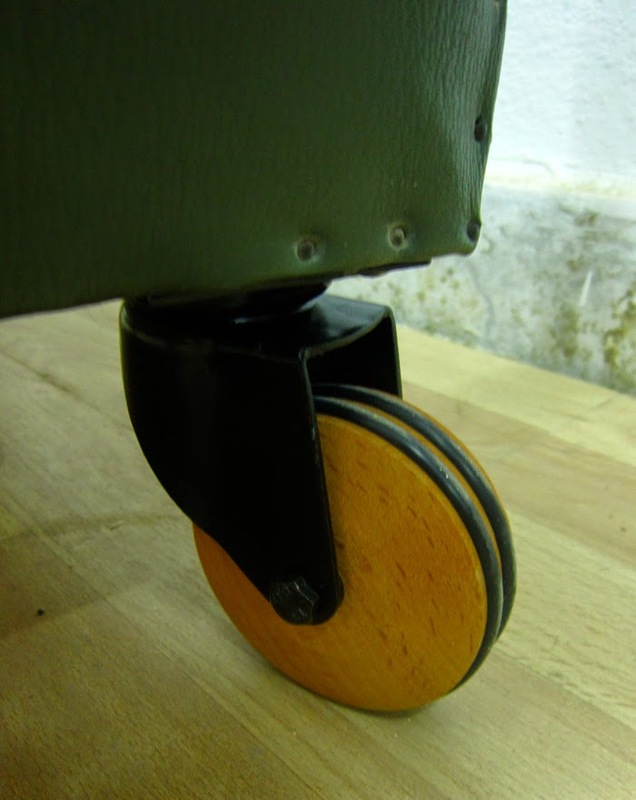 So 1Unik's new collaborator Matt put his skills to work and saved it by removing the damaged legs, reinforcing the structure and attaching a new pair of back legs plus a gorgeous couple of casters in the front, also in solid beech. 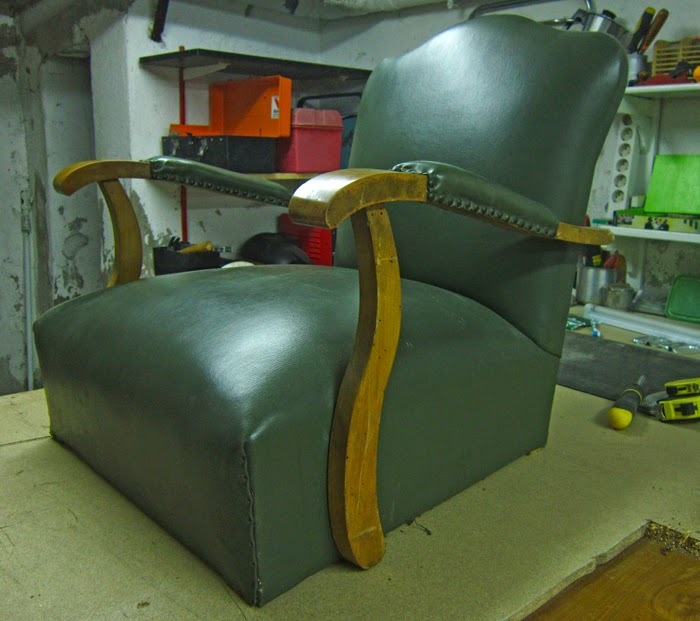 The result speaks for itself: thanks, Matt! 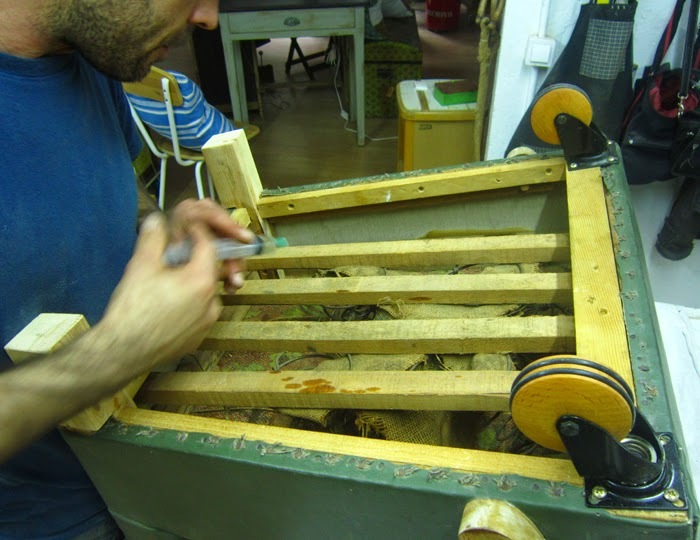 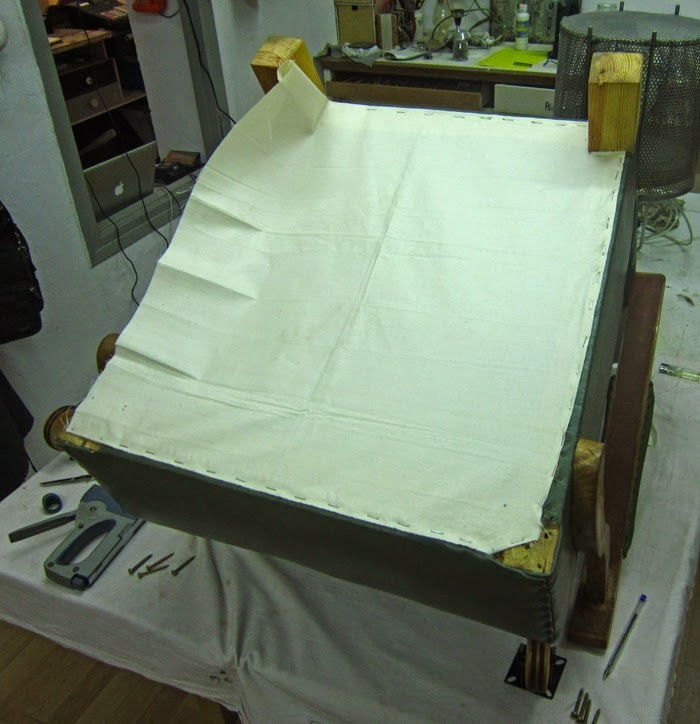 Applying teak oil on the wooden parts, and finally stapling the dust cover in the bottom of the seat.